It never ceases to amaze me how God puts things (and people) in our path at the precise moment we need it. In my case, I had started a prayer journal several weeks ago and wasn’t as happy with it as I thought I should be. As I suppose others do also, my prayer journal was pretty much just a list of thanks, praises and requests, usually for other people. Not that there’s anything wrong with that. We should pray for others. Daily. But I felt that something was missing. Then I ran across Carol and her book. The very first chapter acknowledged this shortcoming to me as God spoke to me through His Word and Carol’s book. My journaling has now become much more meaningful–a learning tool, as well as a communication tool. Each day is a new “letter to God” in which I express freely the thoughts of my heart. Deep thoughts. Thoughts I’d never considered putting on paper. After only a few days of “Journaling with Jesus,” I can see (and feel) the difference. If you are seeking a deeper relationship with the Savior, I definitely recommend this book. What you need to get started and preparing to meet with God through journaling. No matter how long we’ve been a child of the King, we can always learn something new and draw closer to God, if we have the desire and try.This is a short book–only sixty-one pages–but it has a lot to say, if you take the time to digest it as you go, and it is, in my opinion, well worth the money. 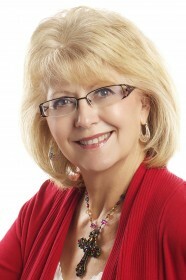 Carol Round is a self-syndicated columnist, Christian author and inspirational speaker. She began her journey with the Lord in 2001 when she admitted her need His guidance. Since that time she has sought a deeper relationship with Him through reading Scripture, Bible Study, and the personal discipline of keeping a daily prayer journal. After being encouraged by other Christian women, Carol has compiled her experiences with prayer journaling into this book. 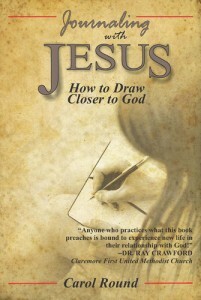 Journaling With Jesus, How to Draw Closer to God, is published by West Bow Press, a division of Thomas Nelson and is available from the author at http://journalingwithjesus.com/ , from Amazon.com or from the publisher at http://bookstore.westbowpress.com/Products/SKU-000522049/Journaling-with-Jesus.aspxand. This entry was posted on Monday, September 3rd, 2012 at 4:11 PM and is filed under BOOK REVIEWS. You can follow any responses to this entry through the RSS 2.0 feed. You can leave a response, or trackback from your own site.